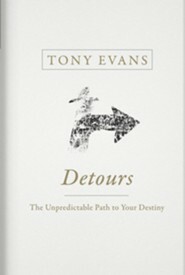 Detours is a 6-session small group study that helps you navigate the unpredictable detours of your life. 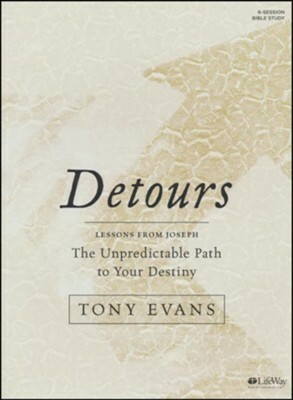 Using the biblical account of Joseph as a model, author Tony Evans shows how God used the struggles and calamities of Joseph to bring about God's plan for his life. He'll do the same for you. The Detours Bible Study Book contains a Group Sessions section, 5 days of personal study, and tips for leading a small group. Detours Bible Study Book includes suggestions for six small-group sessions, weekly individual-study experiences, applicable Scripture, "How to Use This Study," and tips for leading a group. 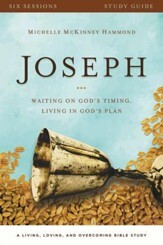 The biblical account of Joseph clearly demonstrates that God is at work even when life seems to be going wrong. 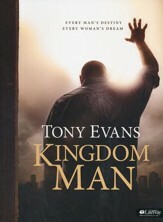 It depicts a young man who endured betrayal, abandonment, injustice, and confusion before understanding Gods sovereign plan to redirect him from the pit to the palace. Even today its easy to wonder why God would allow calamity to happen or if Hes in control at all. Whether through uncontrollable circumstances or the pain of personal relationships, everyone has experienced unforeseen changes in life. This study helps believers navigate detours that may take you through trials, injustice, and even betrayal. You will be comforted and encouraged when you learn to rest in Gods redemptive plan and the hope found in Gods sovereign will. &bull; Discover hope in knowing that lifes sudden detours represent ways God moves us to the place He wants us to be. 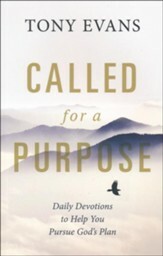 &bull; Identify ways God redeems even the things that go wrong in our lives. 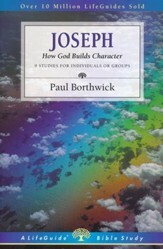 &bull; Get a more intimate understanding of the biblical account of Joseph. &bull; Learn to endure the uncontrollable and unforeseen events that invade your life. &bull; Realize that trusting in Gods sovereignty will help you navigate betrayal, abandonment, and injustice. 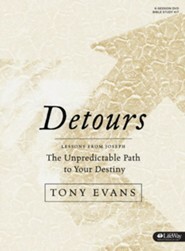 I'm the author/artist and I want to review Detour to Destiny, Bible Study Book.